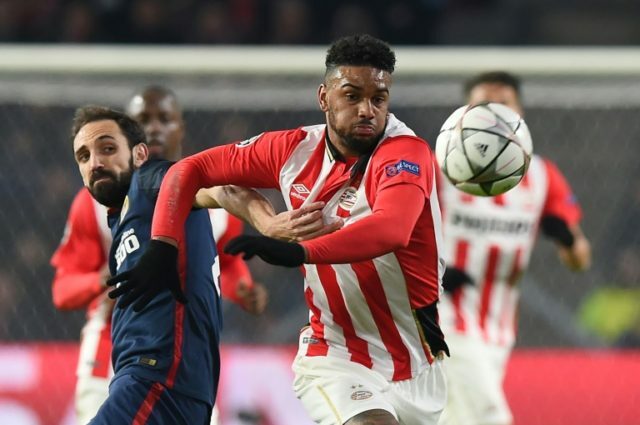 London (AFP) – Brighton and Hove Albion have signed PSV Eindhoven striker Jurgen Locadia for a club-record fee on a four-year deal, the Premier League side announced Friday. The south coast club, promoted last season, did not disclose the figure it took to bring Locadia to England from the Netherlands, but it is thought to be in the region of £14 million ($19 million, 16 million euros). Locadia, 24, has signed a contract through to June 2022. “We are delighted to have signed Jurgen, and pleased to welcome him to the club,” Seagulls manager Chris Hughton told Brighton’s official website. “He is a player we have been aware of for some time, and it’s been no secret we have wanted to add a striker of his type,” Hughton added. Locadia started his career with PSV and scored 62 goals in 175 games for the Dutch giants. Locadia is in line to make his Brighton debut next month, against either West Ham or Stoke, following a return from a hamstring injury. Brighton, three points above the relegation zone in 16th place, face Premier League champions Chelsea on Saturday.